The app is set to simulate what teachers focus on (the specific standards) but set in a kid friendly setting. 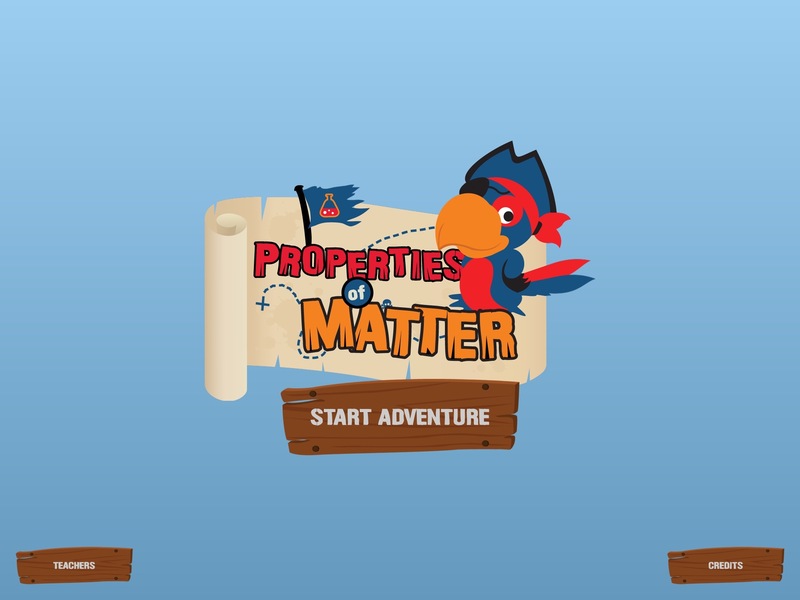 They have to rescue Pat the Parrot and that serves as the overarching theme to get to Pat and the specific activities then interact with the Properties of matter content. Students will interact with objects through four different games (including measuring and weight and temperature and sink/float). simulating different weights by making things harder to drag if they are heavier or easier if lighter to simulate the real object –> children will be able to use the the ruler, balance and a magnifying tool to compare the measurements to the objects presented (only 2 tools shown below). The magnifying tool will present what the material is made of. 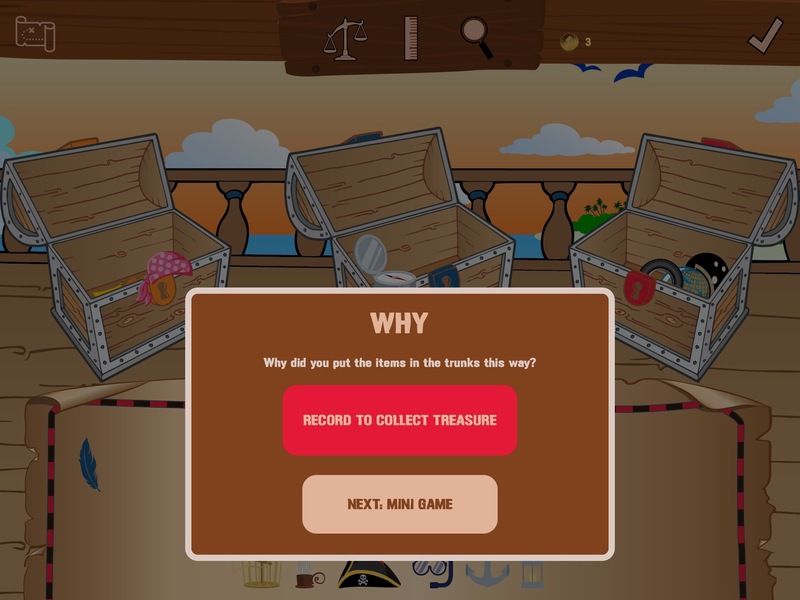 after each game children must explain their reasoning through the recording function by clicking the check mark. 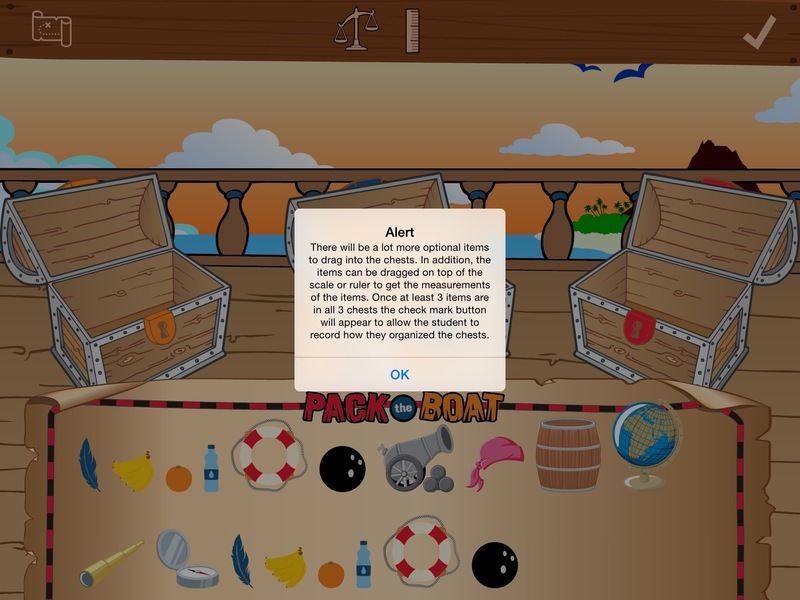 The children’s responses will be localized to the one iPad and not collected outside of the classroom/home for safety and complying with iTunes governances (may be laws). On the opening screen, teachers/parents can set up individual accounts for each child by entering a password then setting up individual accounts. I look forward to sharing more about the app as we work to get it out for children to learn and play!